You’ve probably (at least) heard of a Dole Whip. It’s one of the Disney Parks’ most famous snacks. It’s a pineapple soft serve dessert. It is served alone or as a float with pineapple juice. It is a really unique consistency though. It’s not quite a sorbet or sherbet, and it feels lighter than soft serve ice cream. It’s just one-of-a-kind. 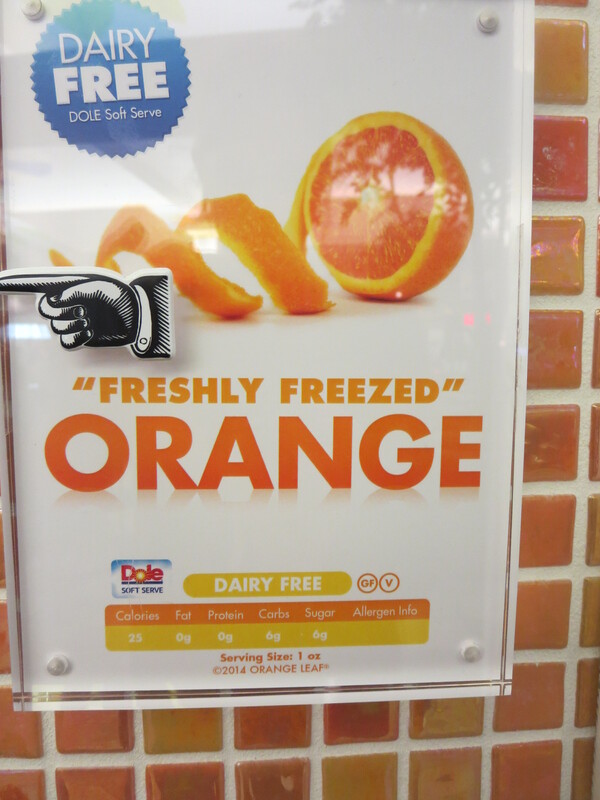 Other flavors are sometimes available too. 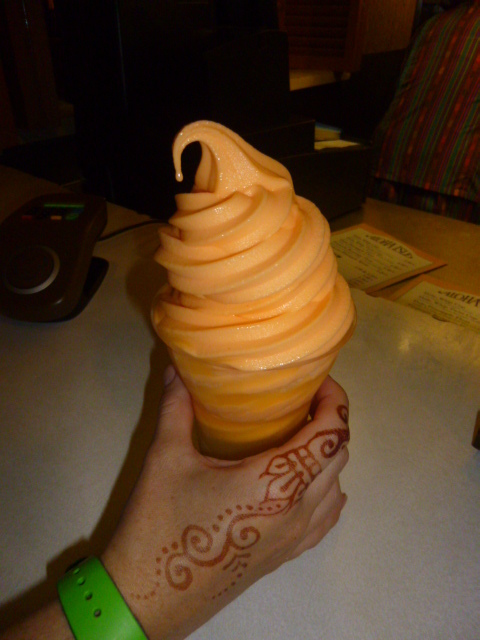 In Disney World’s Adventureland restaurant, Aloha Isle, you can buy pineapple, vanilla, orange, or a swirl of two flavors. My personal favorite is an Orange Dole Whip Float. Yum! 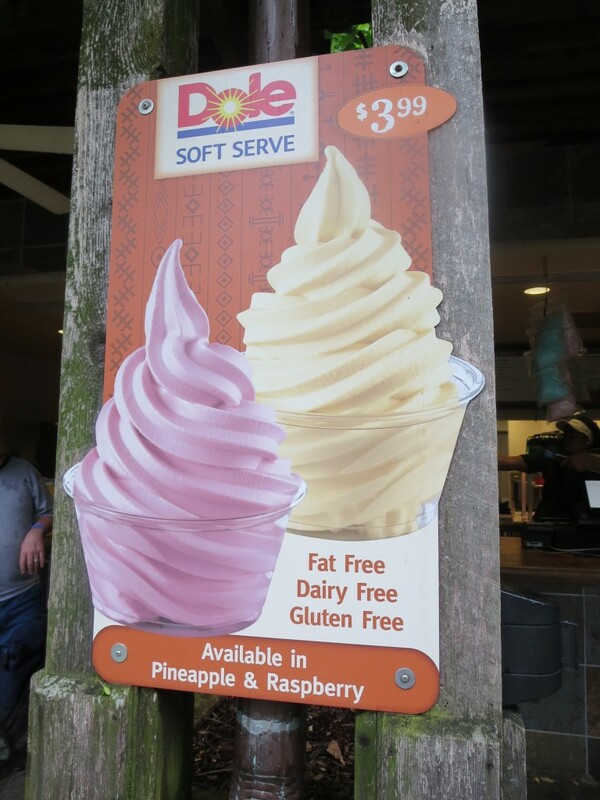 Also, did you know that you can find Dole Whips (called Dole Soft Serve) in other places?! I live in the Midwest and I’ve found orange Dole Whip in a frozen yogurt kiosk at a mall and raspberry and pineapple flavors at the St. Louis Zoo. It’s fun to be able to have a bit of Disney flavor away from the parks. A (Slightly Over-the-Top) Tip: I packed a little, single-serving can of pineapple juice along to the zoo and turned my Dole Whip into a float! It works best if you have an extra cup to put it into though, since there isn’t room in their little sundae cups. But, it’s so worth the trouble! I enjoy it much more as a float! 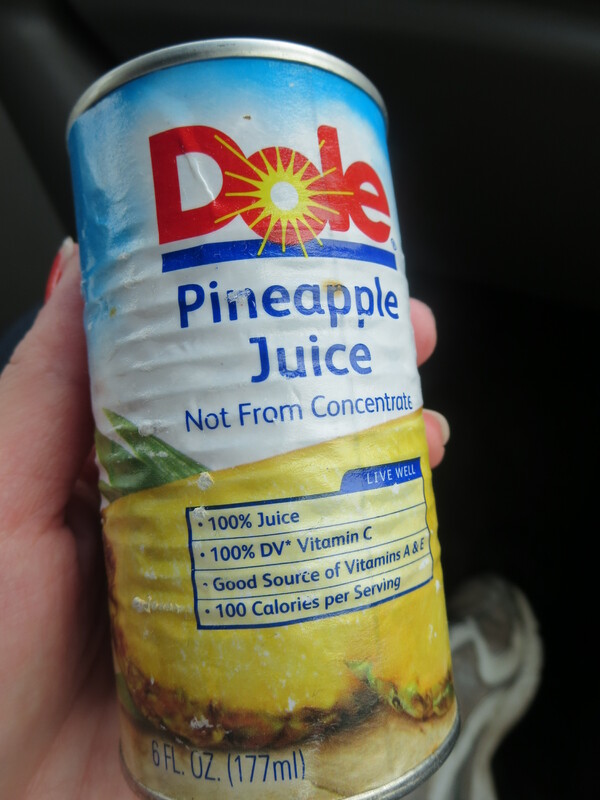 Little can of pineapple juice for a DiY float! It’s a healthier snack option. You can follow Dole Soft Serve on facebook, by the way. Do you have a favorite way to enjoy a Dole Whip? 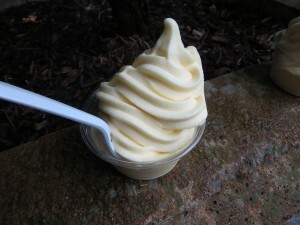 Okay, there is nothing better than a Dole Whip, just saying! !